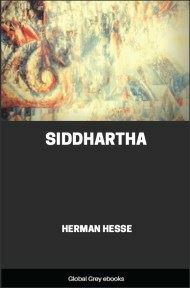 Siddhartha is a 1922 novel by Hermann Hesse that deals with the spiritual journey of self-discovery of a man named Siddhartha during the time of the Gautama Buddha. 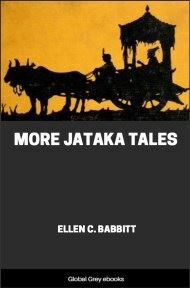 The story takes place in ancient Nepal. Siddhartha, the son of a Brahmin, decides to leave behind his home in the hopes of gaining spiritual illumination by becoming an ascetic wandering beggar of the Samanas. Joined by his best friend Govinda, Siddhartha fasts, becomes homeless, renounces all personal possessions, and intensely meditates, eventually seeking and personally speaking with Gautama, the famous Buddha, or Enlightened One. Joy leapt in his father's heart for his son who was quick to learn, thirsty for knowledge; he saw him growing up to become great wise man and priest, a prince among the Brahmans. Bliss leapt in his mother's breast when she saw him, when she saw him walking, when she saw him sit down and get up, Siddhartha, strong, handsome, he who was walking on slender legs, greeting her with perfect respect. Love touched the hearts of the Brahmans' young daughters when Siddhartha walked through the lanes of the town with the luminous forehead, with the eye of a king, with his slim hips. But more than all the others he was loved by Govinda, his friend, the son of a Brahman. He loved Siddhartha's eye and sweet voice, he loved his walk and the perfect decency of his movements, he loved everything Siddhartha did and said and what he loved most was his spirit, his transcendent, fiery thoughts, his ardent will, his high calling. Govinda knew: he would not become a common Brahman, not a lazy official in charge of offerings; not a greedy merchant with magic spells; not a vain, vacuous speaker; not a mean, deceitful priest; and also not a decent, stupid sheep in the herd of the many. No, and he, Govinda, as well did not want to become one of those, not one of those tens of thousands of Brahmans. He wanted to follow Siddhartha, the beloved, the splendid. And in days to come, when Siddhartha would become a god, when he would join the glorious, then Govinda wanted to follow him as his friend, his companion, his servant, his spear-carrier, his shadow.